Log home lovers paradise. 7.3 acres that backs to dense woods. 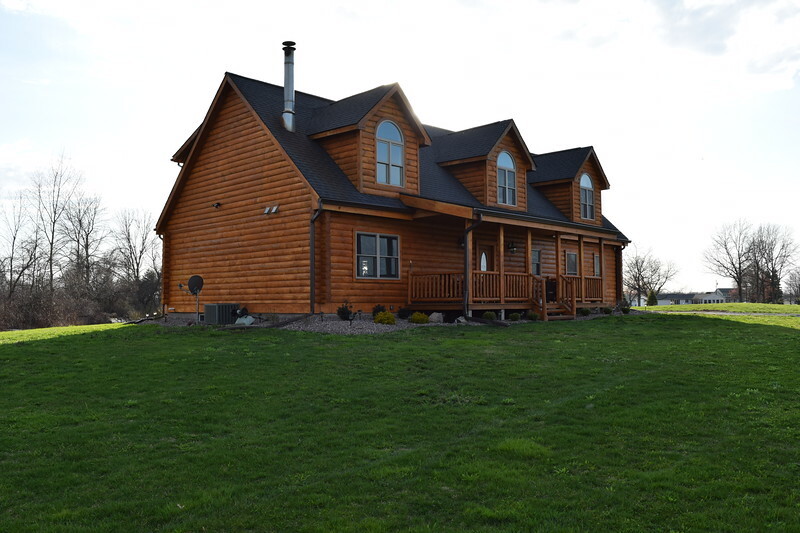 2009 built two story log home with all the amenities. Cathedral ceilings through out. Awesome to the ceiling stone fireplace with air tight insert. Hardwood floors, custom maple kitchen with solid surface counters. Master bath with walk-in shower and garden tub. Full basement, high efficient furnace with a/c. Loft is 14 x 32 and offers plenty of space to build 2 additional bedrooms and a main bath.